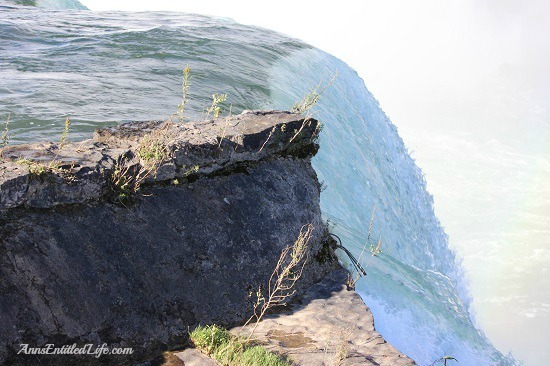 As I continue photographing Niagara Falls through the seasons, I decided to try something a bit different this time. 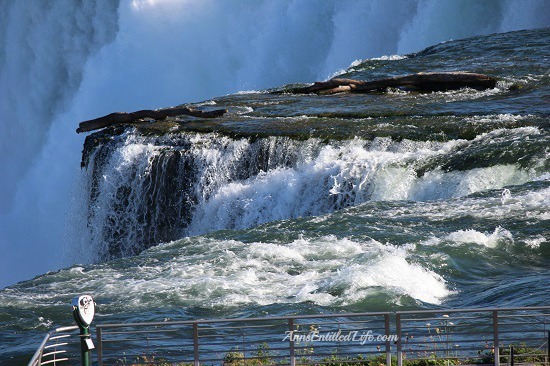 (Niagara Falls – Summer 2013 and Niagara Falls – Spring 2013) Hubby and I went over to Goat Island to get a better view of the Canadian Falls, the Bridal Veil and the rest of the park. 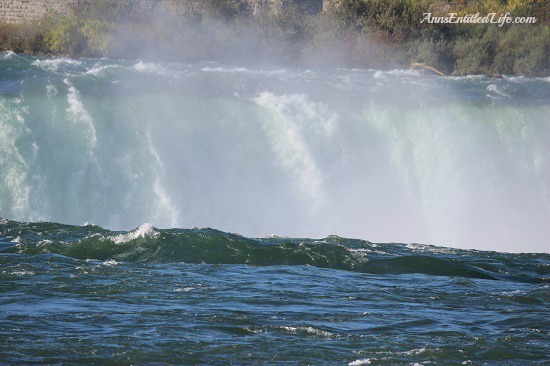 There is construction until Spring 2014 which limits the areas closest to the American Falls, but I still think I got some pretty fabulous pictures to share with you! One item of note, the fee for a car to drive and park on Goat Island is $10. 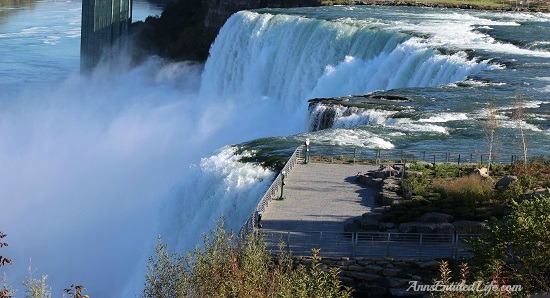 If you walk over from the American Falls, it is free to pedestrians. 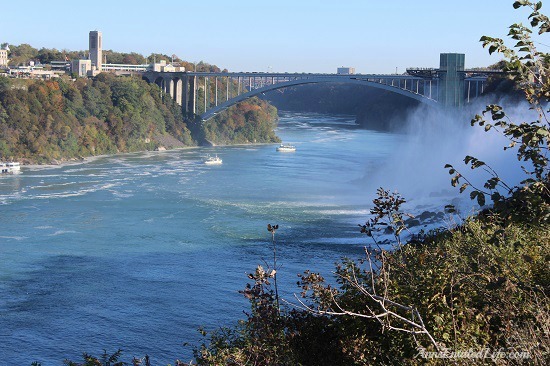 There are three parts to Niagara Falls: the American Falls (between Prospect Point and Luna Island), the Bridal Veil Falls (between Luna Island and Goat Island) and the Canadian Falls (between Goat Island and Table Rock). 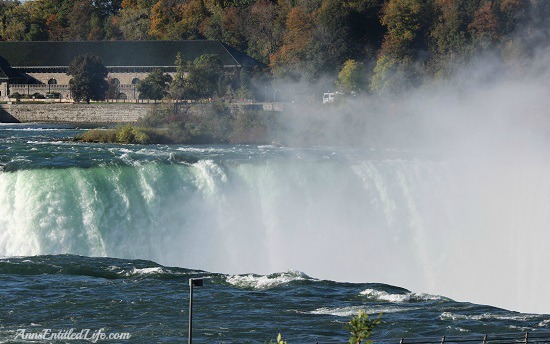 The above picture is the Horseshoe Falls also known as the Canadian Falls.The Canadian Falls are located between Terrapin Point on Goat Island in New York State, and Table Rock in Ontario Canada. 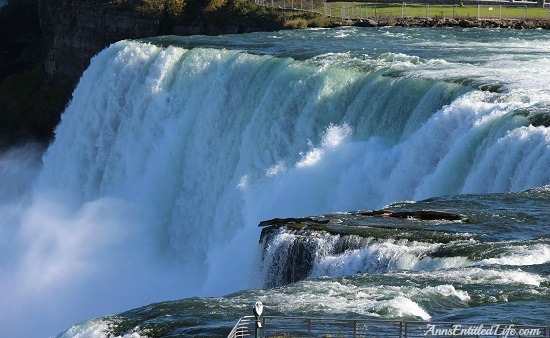 The vast portion of the Horseshoe Falls is located in Ontario, Canada and a very small percentage is located in New York State. 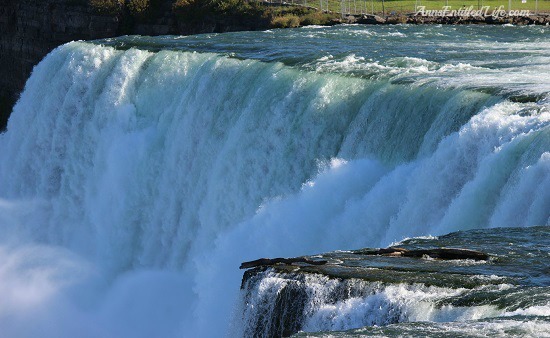 Since I started with the Canadian Falls, I will post pictures of them first. 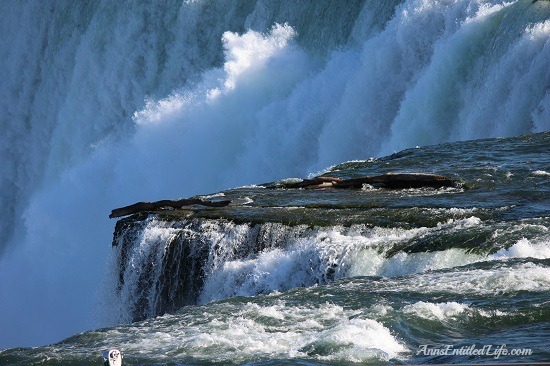 Remember, all pictures are taken in Niagara Falls USA. 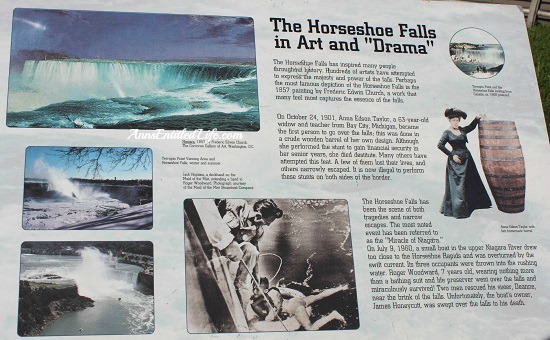 A bit of Niagara Falls history! These are some of the rocks below the Horseshoe Falls on the American side. More photos of the Canadian Falls. 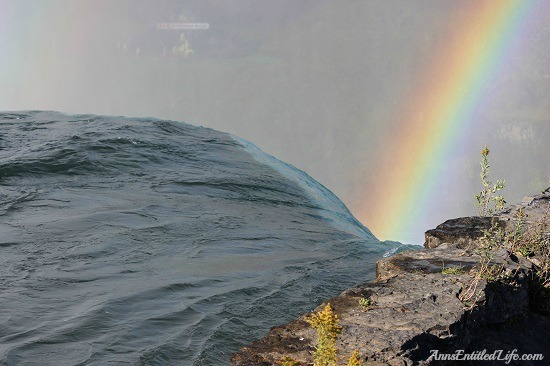 There were rainbows shooting all over last Saturday. 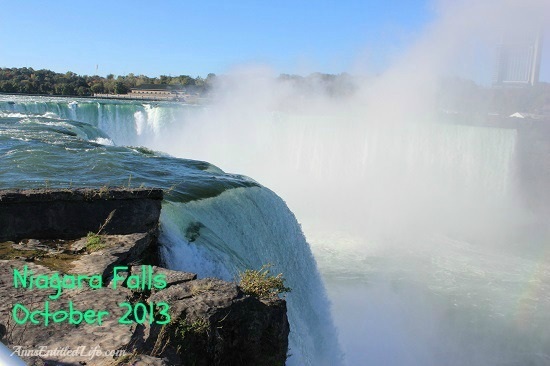 Singles, doubles, American Falls, Canadian Falls! You name it, they were there! 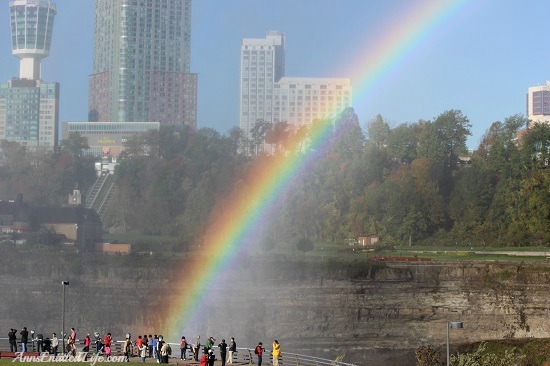 And this is my treasure at the end of the rainbow. 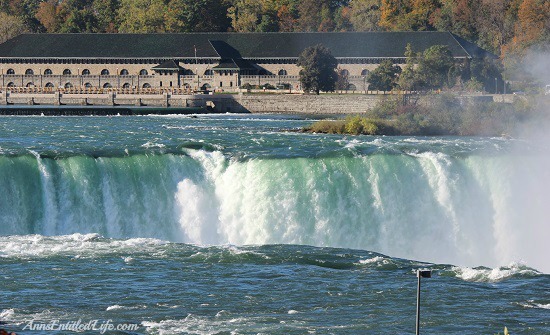 This is what the water looks like approaching, and then going over the Horseshoe Falls. 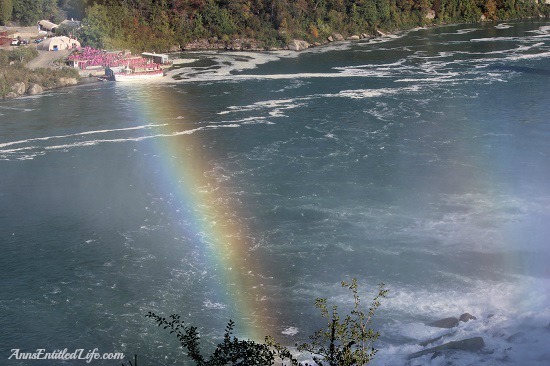 A look down to the Rainbow bridge to Canada. 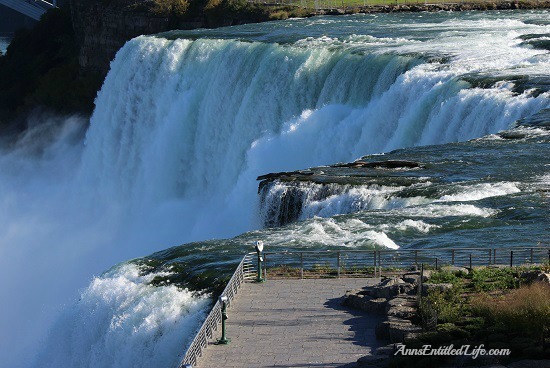 We then walked over to view the Bridal Veil and American Falls. 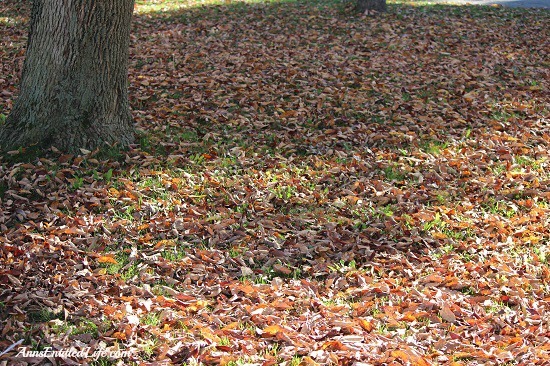 Autumn leaves are falling! 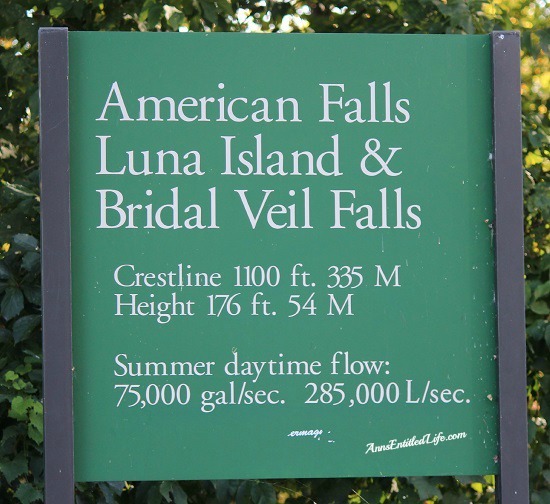 Unfortunately due to construction, we couldn’t walk down to get close to the Bridal Veil. 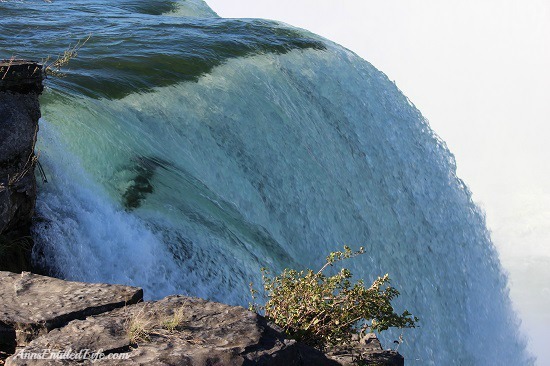 These pictures are all taken from above. 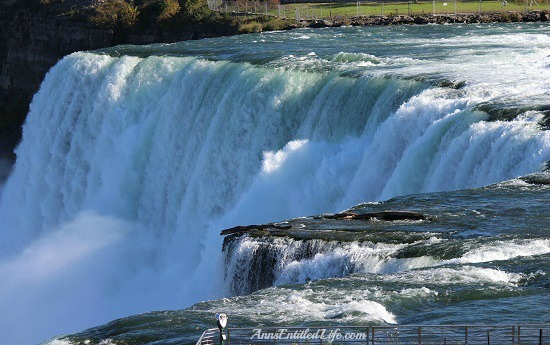 These are pictures of the American Falls and the Bridal Veil. 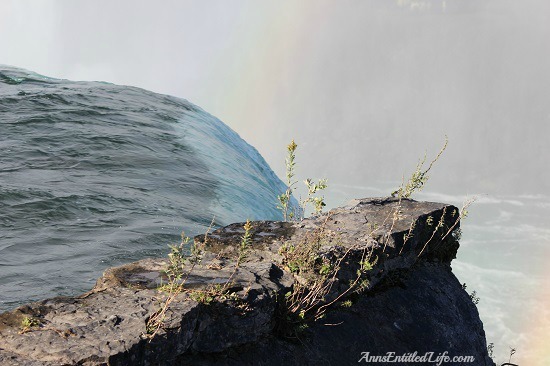 The Bridal Veil up close. 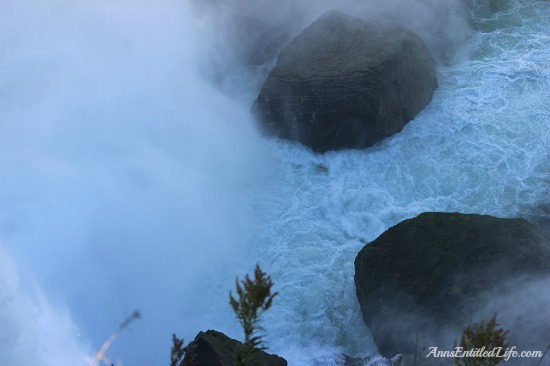 Another up close of the Bridal Veil. 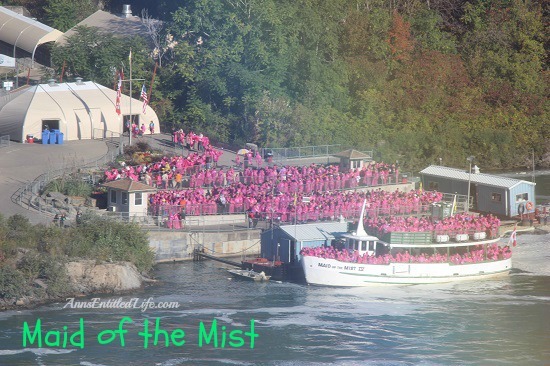 Taking a look across the river, you can see the people lined up to ride the Maid of the Mist! 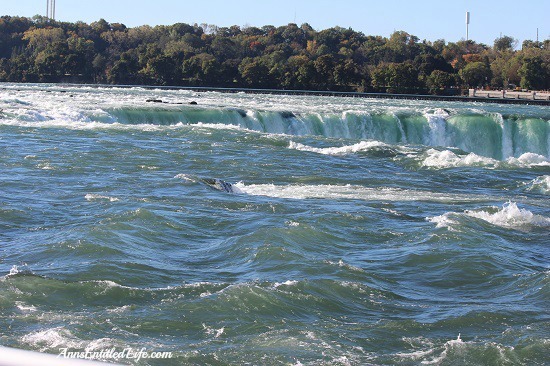 Tomorrow I will post pictures of Goat Island, and up close pictures of the rapids, completely with crazy geese and gulls! Wow! 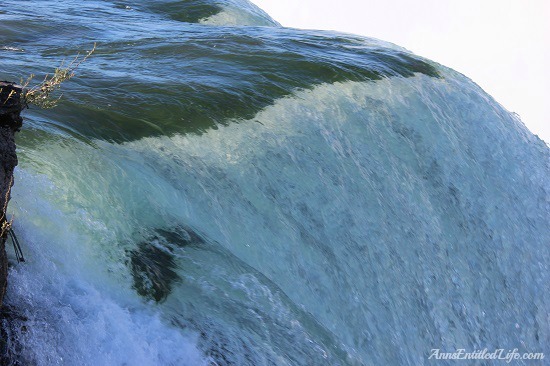 So many amazing photos. I haven’t been there in about 11 years. 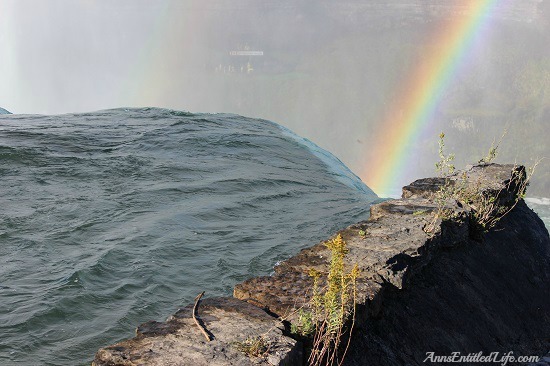 I forgot how beautiful Niagara Falls is. Thanks for sharing your collection. 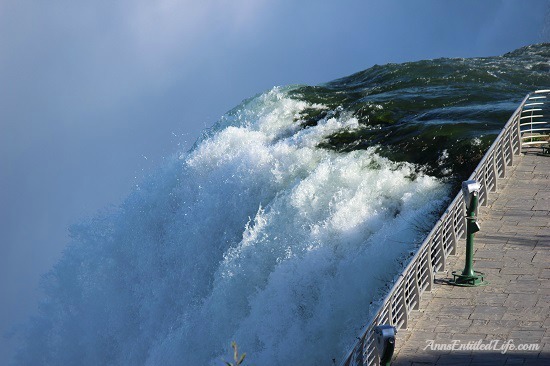 Oh my, Niagara Falls is one place I so want to visit. What lovely photos! 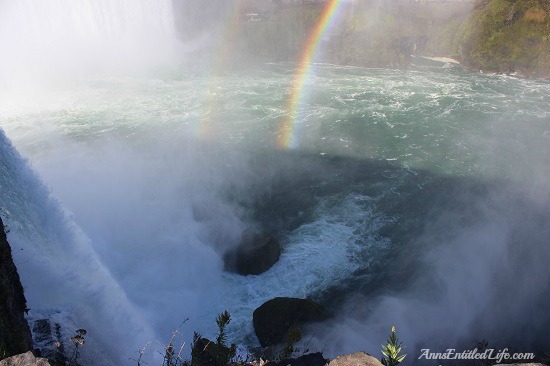 I love the ones with the rainbows the best I think. Oh Steve, you are always so punny. 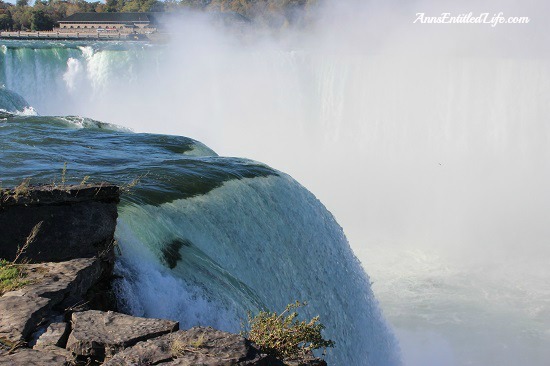 You captured some great photos! Well done! These are wonderful photos. 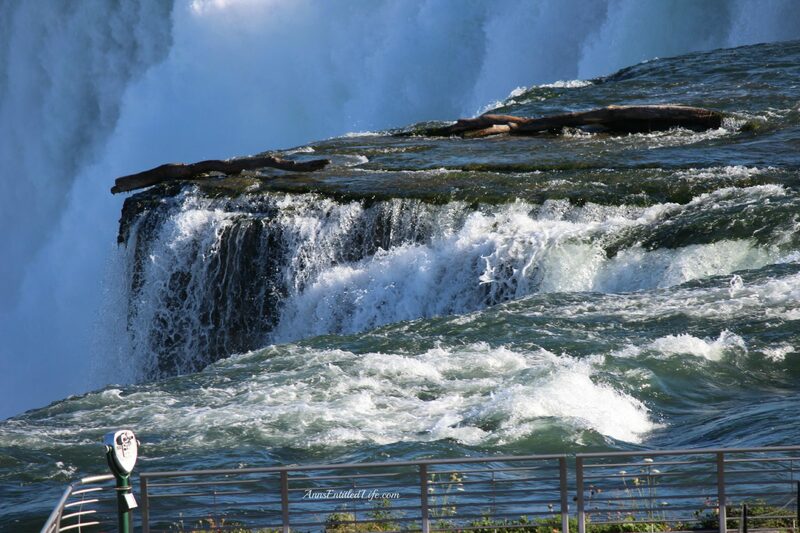 I have never been to the American side of the Falls. I must plan a trip with my family. 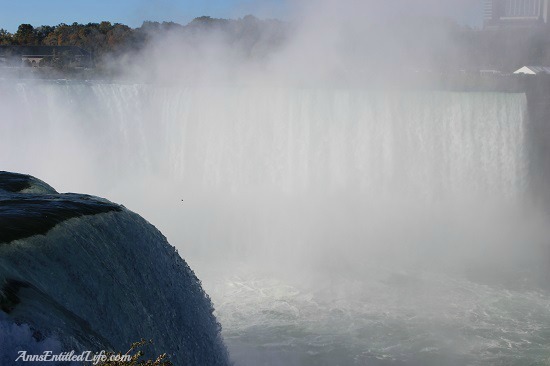 The Niagara Falls Parks are truly beautiful, Sophia. I hope you get the opportunity. 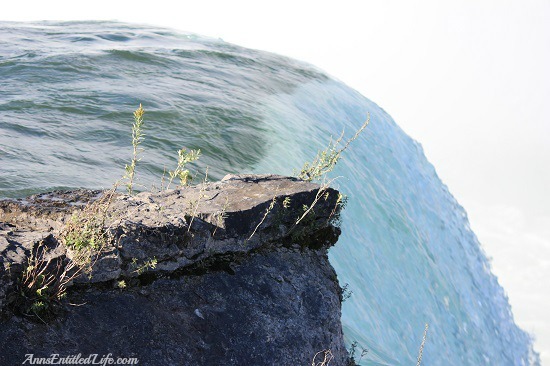 Those are some amazing shots, and how wonderful to see both sides. I would love to go visit. I hope you can, Rosey! How wonderful. I think the far away shots are just as dramatic. 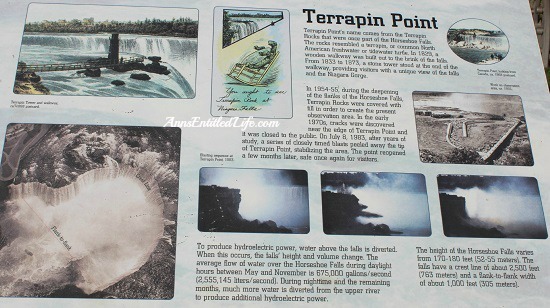 I was there, gosh, 30+ years ago. It was scary but really cool at the same time. Your pictures make me feel like I am right there. Thanks so much, for this native Californian will probably never get there. I hope you don’t mind that I grabbed your bigger photos for my desktop wallpaper. The were so neat. As for Max, what kind of a dog is he? He reminds me a Coton de Tulear. Max reminds you of a Coton de Tuléar because he is a Coton de Tuléar. Good eye, Danielle! 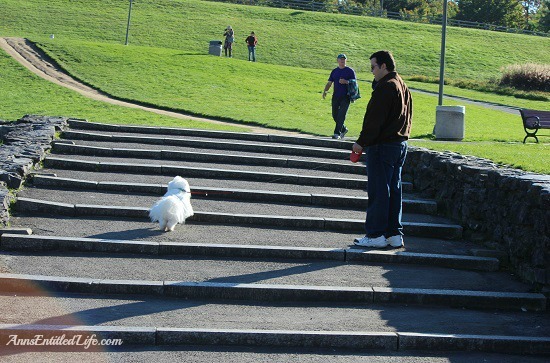 Most people have never heard of a Coton, let alone are able to identify one. 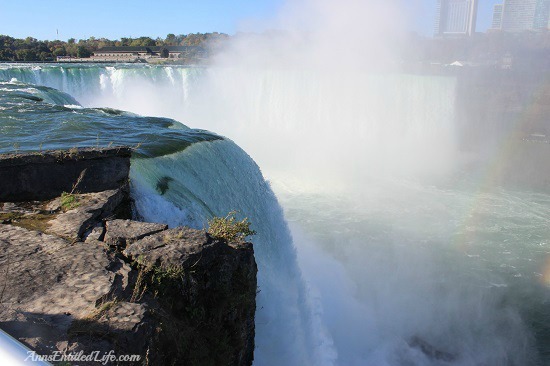 What amazing photos, so up close and detailed, thank you for sharing your trip!!! Thanks Karren. 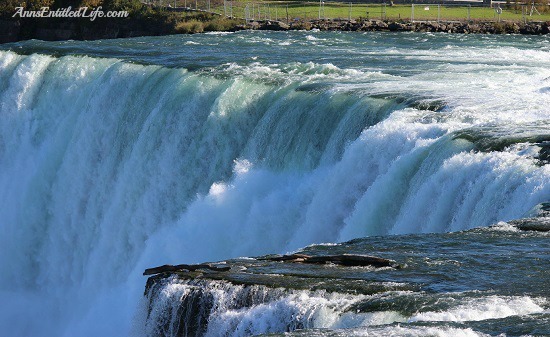 Fortunately for me, Niagara Falls is only 30-45 minutes away depends on traffic. 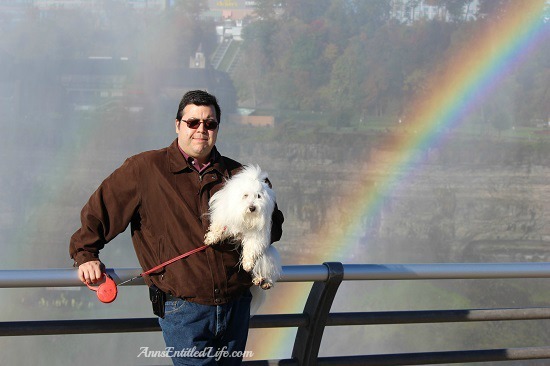 Your husband should consider you posting him and Max as the treasure at the end of the rainbow as quite a compliment. You could have posted just Max! 🙂 Love the photos. LOL on the just Max.